VEGEMITE and device, VEGEMITE trade dress are trade marks of Bega Cheese Limited. Vegemite contains B1,B2,B3 and folate. Enjoy as part of a balanced, varied diet and active lifestyle. Preparation Time: 35 minutes. Cooking Time: 20 minutes. Place yeast and warm water in a large bowl and mix until yeast is dissolved. 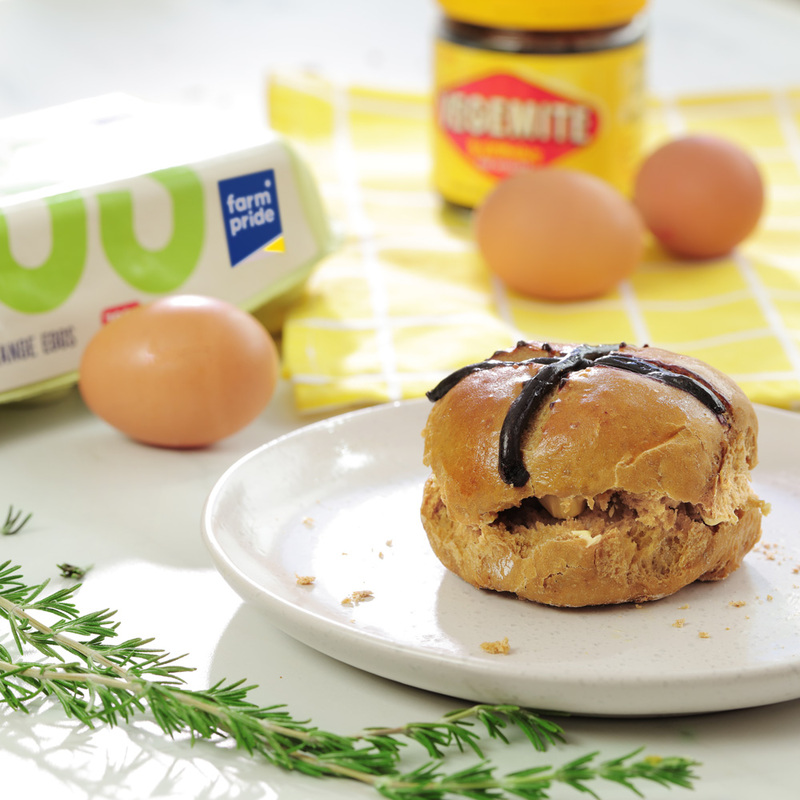 Add Farm Pride eggs, VEGEMITE, sugar and butter and whisk to combine. Stir in the flour and cheese and mix together then knead for 5-10 minutes on a floured surface until dough is smooth and springy. Set aside in a covered bowl, in a warm place, to rise for 1 hour or until doubled in size. BEAT together Farm Pride egg yolk and water to make an egg wash. Cut a cross in the top of each bun and brush egg wash over the top. Spoon extra VEGEMITE in a piping bag with a small plain nozzle and pipe into each cross.